Welcome to the Intentional Filmmaking Class taught by Carole Dean and Tom Malloy! Introductions, as class members meet each other. Then, we listen to you pitch your project. 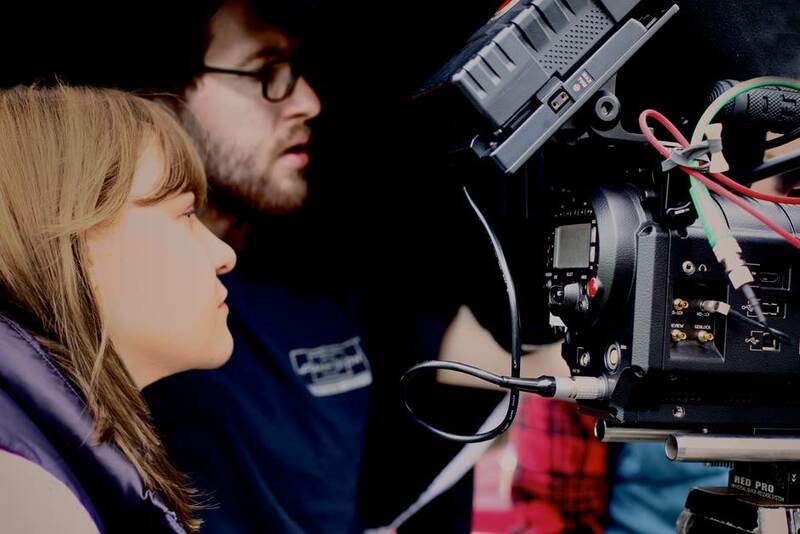 Each filmmaker shares their project and tells us where they are in production. For a feature, tell us if your script is finished and what your ideas are for distribution. For a documentary, do you have a proposal, a trailer, a log line, a fiscal sponsor? Bring your pitch, your log line, and anything you want to share with us. We need to know what you want to achieve from the class. What are your expectations over the next 5 months? Tom outlines Essentials, IMDB, business cards, sales techniques, blogging and Carole shows you websites and what you need to have for marketing. Carole teaches you how to write your goals. Also, how to choose things that your inner being agrees with, goals that you can achieve. Please listen to this information on how to set your goals and how to create your mission as a filmmaker. https://www.dropbox.com/s/9lwa3tuvmf3o4bq/Film%20Funding%20Guidance%20Class.mp3?dl=0. Your homework will be to outline what you want to achieve. At the beginning of each class, we will review the homework assignment. First Homework: Please get the “Miracles” by Stuart Wilde and read as much as you can for the next class. Check online for any interviews with Stuart Wilde. His mind contains a vast amount of knowledge on money, how to get it, and how to keep it flowing to you. Bring to Class 3 things you can use to fund your film. We discuss Stewart Wilde’s book “Miracles” and we give you a meditation to use to manifest your goals and see them completed. We provide lessons on how important your mind set is for raising money for your film. The meditation is online here: https://www.dropbox.com/s/r8m9oqdb276ro3q/Manifesting%20Meditation.mp3?dl=0. Use this meditation at least 3 times a week to visualize your goals completed. We show you how to create a to-do list to support the completion of your goals. Also, covered is an explanation of fiscal sponsorship and how to use it for funding your film. Carole will email each of you the Marketing and Distribution outline. Please complete the first 2 pages. Just fill in the blanks and bring any questions to the next class. This is for you to use to close investors. It has 11 windows of distribution and you will create the numbers to show what the potential income is for your film. We will discuss this weekly until we cover all of it. We cover brainstorming parties to find how to reach people with money. Your goals should be in writing and have been sent to Carole. They will have been returned to you and you should be reading them daily. Tom covers: What he has found as a producer to be the single most important thing you can to do raise money. How he has funded his films and knows what you need to do to raise money. How to tell if an investor or donor is real. What to watch out for. Should you pay a fee for investors? Selling yourself on the project. Do you have a killer script? Do you have a brilliant documentary outline? A funding trailer? How to think about your film from a marketing mindset. Be Realistic. Finding how to sell your individual film. Learning how to pitch it. Homework: Please get the 2 disc set of “The Field” by Lynn McTaggart or her book of the same name from Amazon. We want to cover disc one in next class. If you have not sent these, please do now. We want your business plan or proposal for your documentary to be reviewed in next class. Tom discusses the Five Steps for Prepping your Project, and why prepping is the most important aspect for raising the funds for your film/documentary. He will go over steps 1-3 in this first discussion. Carole reviews Lynn McTaggart “The Field” CD Disc1 and how to use this information for funding your film. We cover how important it is to watch your thoughts as they become your words and watch your words as they become your actions. From Margaret Thatcher and The Iron Lady film. We want you want to focus on your 5 month goals and the to do list daily. There is a wonderful meditation on the front page of From the Heart website where you can take your goal into the meditation and focus on its completion. your proposal or business plan, your website, your Facebook and other social networking information for her to review. We discuss crowdfunding concepts and learn what works. Where is your audience? Read this blog: https://fromtheheartproductions.com/start-your-film-marketing-plan-before-you-start-shooting/. Who is your audience? Read this blog. https://fromtheheartproductions.com/how-to-mine-your-audience-for-gold/. We discuss how to Identify your audience and how to drive them to your site. We cover using YouTube videos, connecting to strategic partners and major organizations who care about your subject matter and will expand your database. Homework for class 3: Listen to the Second CD of “The Field” by Lynn McTaggart and bring 3 things you can implement in your daily life to the next class. Please complete another 2 pages of the Marketing and Distribution Plan so you should have 4 pages completed by class 4. Any questions bring to the class or send to Carole via email. You can also set one of your 4 consultations with Carole to work on this outline with Carole on the phone. This is the official “pitching” class. Tom covers the Top three mistakes people make when pitching, and gives tips and tricks on how to make your pitch perfect. Carole and Tom also hear pitches and analyze/give feedback. We cover what is important to have on your Web site. What are the top mistakes with web sites? How to make your site give you what you want. We discuss staying on track with your goals and how daily verbalizing your written goals is important. Daily focusing on the to do list is a key to achieving your goals. We discuss crowdfunding and explain what works and dispel the myths around it. Carole outlines how to run a good campaign. Homework: Listen to “The Little Money Bible” CD by Stuart Wilde. Do another page on the Marketing & Distribution outline, you should have 5 pages completed. Carole covers what she expects in grants from reading grants for 24 years for the Roy Dean Film grant. Carole discusses The Money Bible by Stuart Wilde. Carole covers the marketing and distribution outline and explains how to use this to close donors or investors. We want to know if you are on target for your goals. If not, what can we do to help you achieve them? Guest Speaker to be announced will join us at 10am. Homework is the book Contagious by the brilliant author, Jonah Berger. Available on Amazon. Read at least 3 chapters. Complete 2 more pages of your Marketing & Distribution report bringing you to a total of 7 pages by class 6. Also listen to the interview with President of Tugg.com, Nick Gonda on Cinema on Demand. and for documentarians listen to this interview with Jo Jensen: http://www.blogtalkradio.com/the-art-of-film-funding/2017/02/08/marketing-documentaries-with-a-cause. Now it’s time to move into the nuts and bolts of financing as Tom discusses the principles behind the “Ten Arm Approach.” He will cover how to take a meeting, how to convince yourself you can make this film, as well as the set of rules for follow through. The overall idea of improving the investment will also be discussed. Carole discusses Contagious and how to use that information to help with funding. We also discuss the Marketing & Distribution report and you should have 7 pages completed. We cover Tugg.com and discuss marketing via Cinema on Demand for features and docs. We cover causeumentary.nyc and discuss all of the benefits documentaries and how to use this type of marketing for features. We follow up with the marketing & distribution outline for questions and advice. Practice your pitch with us. Getting comfortable setting meetings to show your business plan or your documentary outline. How to handle yourself in their office, what to say, how to sell yourself and your film. Complete two more pages of your distribution plan and that should take you to page 9. Carole covers the benefits of self – distribution and why hybrid distribution is more lucrative for filmmakers. Have you increased your data base from the information in the class? Have you interviewed your audience to find what organizations they belong to and where they hang out? Should you do VOD? Is Cinema on Demand good for you? Are you clear on a good distribution plan? Pitch us and show us your marketing outline. Tell us what your film can gross and why. You should be able to really pitch and feel comfortable with the potential income your film can make, the market you know your film fits, who you have following you and why they like your film. All of this makes for a confident, passionate filmmaker who can close investors. That’s our goal for this class. Listen to Stewart Wilde’s “The Force” CD. Please bring 3 things that you liked the most about it to the class. Complete the Distribution & Marketing plan. Tom will cover three additional methods of funding your project, the “Attachment Approach,” the “Distributor Approach,” and the “Dangerous Approach.” Finally, Tom will give a summary on what it takes to get your project moving along and to be a working filmmaker. Carole discusses The Force CD and how you can use this to bring money to your film.